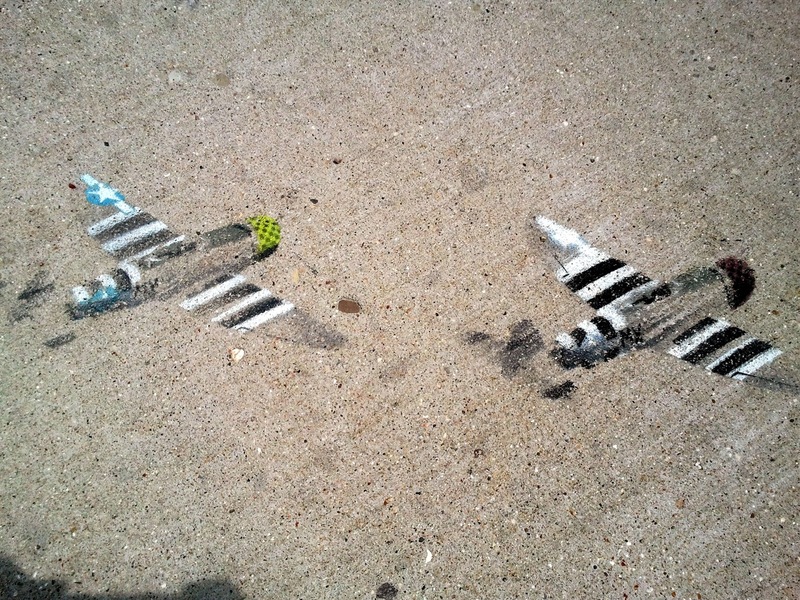 This is a pair of really beautiful, multi-color stencils on the spit of bike path behind the Union Corners wasteland. The detail on the nose of the fighter planes is especially stunning (click the image for a better look), but really, the whole set is just super well done. Kudos to whoever the artist is on these. Ghost Rider? 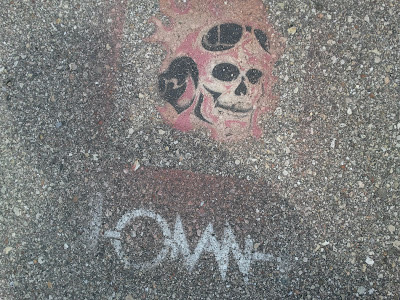 I'm not sure, but this killer flaming pilot/biker skull head thing is a pretty great stencil. The text probably explains it, but I'm terrible at reading graffiti scripts. Anyone? 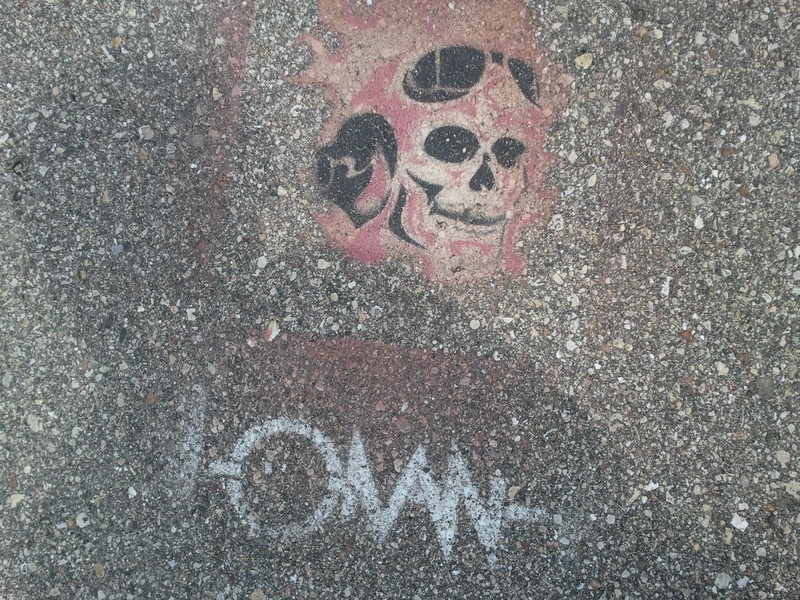 Seen on the little spit of bike path behind the Union Corners wasteland. 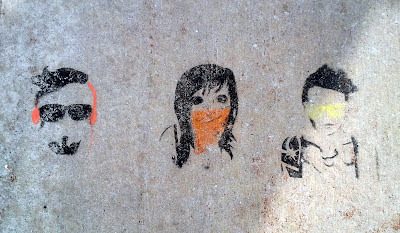 There were a number of great stencils there, actually, to be posted in coming days. 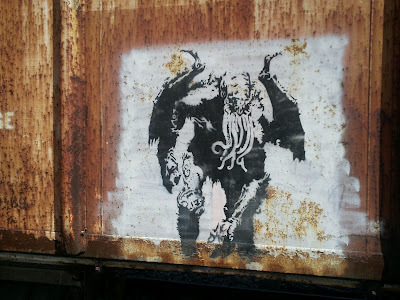 This stencil of Cthulhu is just plain awesome. There, I said it. I was driving by and caught the image out of the corner of my eye, so pulled into a nearby parking lot, ran across a busy road, hopped through some tall grass, scrambled across a few railroad tracks to take this picture. 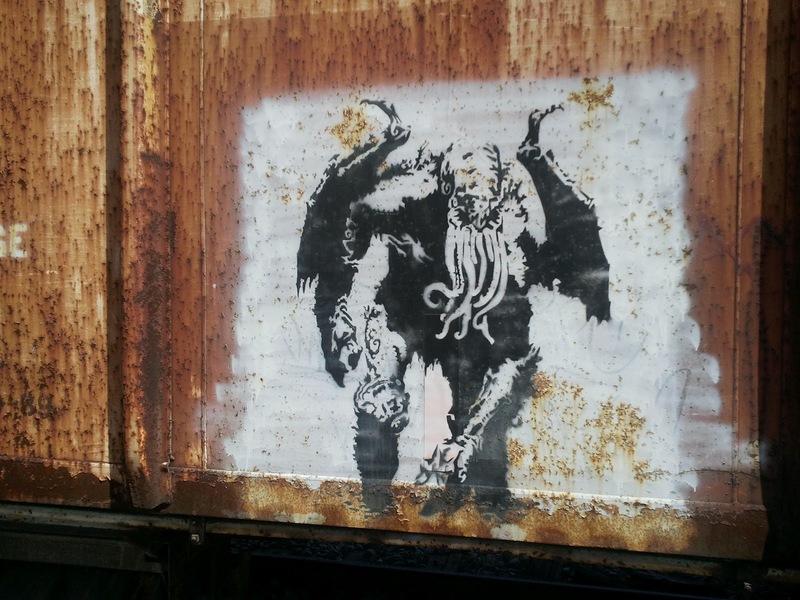 No idea if this is by a Madison-area artist since it's on the side of a train, of course, but this particular set of cars tends to sit for awhile and I hadn't noticed it previously, so there's a good chance it is. Regardless, it's super cool. 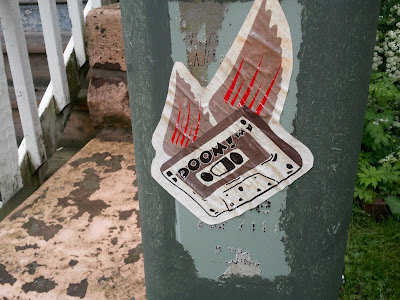 DOOM! is trademarked, y'all. And this is a great sticker. 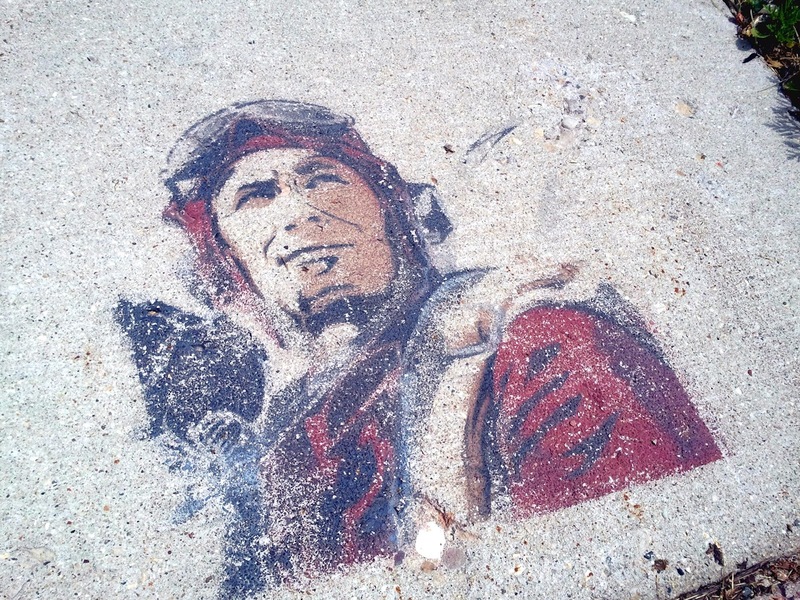 On Jenifer Street, near east side. 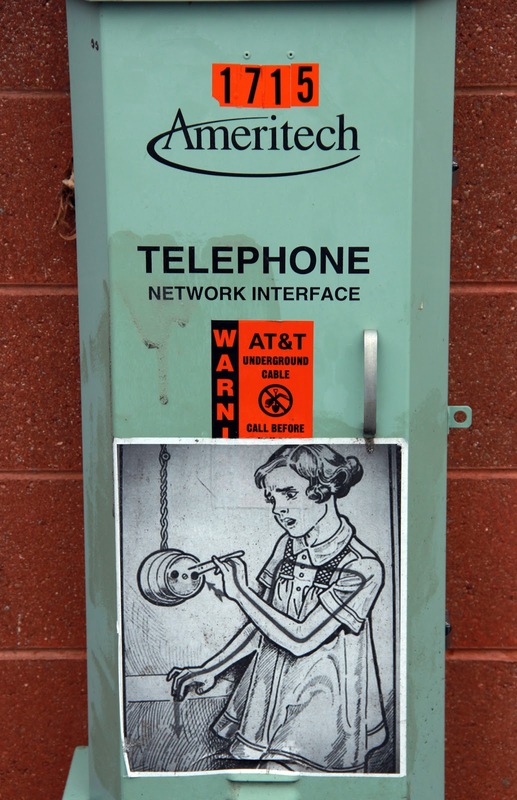 This is what we'd call an instructional/safety paste-up. 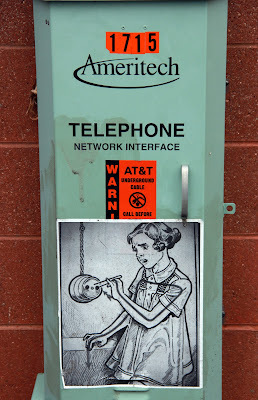 Spotted in an alley near East Towne Mall by Scott M.
Hipsters hear no evil, speak no evil, see no evil. Along the commuter bike on the near east side.